Singapore’s 10th Formula 1 Grand Prix weekend boasted a sell-out record crowd at The Podium Lounge after-party, the key trackside event highlight of the season held at The Ritz-Carlton, Millenia Singapore from 15th–17th September, 2017 with Karma Resorts red-lining the evening’s style levels as they presented The Nightly Fashion Circuit, curated by The Yak Magazine, Bali. 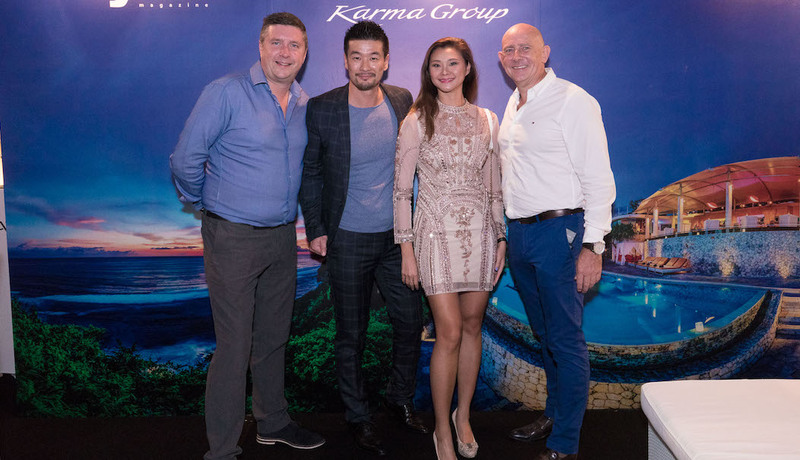 Karma’s Nightly Fashion Circuit featured established Hollywood celebrity designer M The Movement with a host of international celebrities walking the show, including Khanngoen “Khan” Nuanual from Thai-American hip-hop music group Thaitanium; hip-hop/R&B Malaysian all-girl group, De Fam; Maureen Wroblewitz, winner of Asia’s Next Top Model 2017 and the first Filipina to win the popular modelling search; Alicia Amin, a finalist on Asia’s Next Top Model 2017; as well as the ten finalists of Miss World Singapore 2017. Sunday night’s fashion finale heralded the inaugural show in Singapore for New York Fashion Week designer, Mauricio Alpizar who presented his stunning new resort collection “Modern Asia”, accentuated by Erika Peña Jewelry & Accessories known for her celebrity Hollywood clients such as Beyonce, Jessica Alba, Kim Kardashian and Paris Hilton. The glitzy event featured main headline acts Macy Gray and Fierce Angel who performed live along with grid girl and aerialist performances, a charity auction and The Nightly Fashion Circuit. Giving guests a glamorous ultra-lounge experience, WingsOverAsia showcased their newest Diamond DA40 private jet for the first time ever in a specially created outdoor VIP experience. Indoors, the next generation Lamborghini Aventador S was showcased to guests as they arrived. The entrance to The Grand Ballroom of The Ritz-Carlton, Millenia Singapore featured a gorgeous exhibition by the highly acclaimed Sundaram Tagore Gallery with their Primary Source presentation, focusing on work by internationally celebrated artists including Annie Leibovitz, Hiroshi Senju, Miya Ando and Kim Joon. Celebrity guests included Mercedes F1 driver Valtteri Bottas; Prince Mateen of Brunai; ex-F1 driver David Coulthard; Australian Rules Hall of Fame footballer Glenn Archer; ex-F1 and A1 driver Alex Yoong; Singaporean Pop/R&B singer and former Singapore Idol Tabitha Nauser; award-winning TV and radio presenter Dominic Lau; E! News Host Raymond Gutierrez; MTV Host Hanli Hoefer; and Fox Sports Asia TV presenter Paula Malai Ali, amongst others.